Our electricians have years of experience solving common problems with residential electrical systems. Our first concern is maximizing the safety of your electrical system and preserving the level of safety it was engineered to provide. Always have the electrical system assessed by a professional before purchasing a home. A professional electrician can accurately assess the strengths and weaknesses of your electrical system and provide a comprehensive plan to bring it up to optimum condition. Most large electrical problems can be solved cheaply and easily if they are caught in the early stages. If you think you may have an electrical problem be sure to have it repaired immediately! So whenever you have a home electrical concern, do not leave it to chance: contact Root Electric and be safe about it! This is the electrical nerve center of your home. 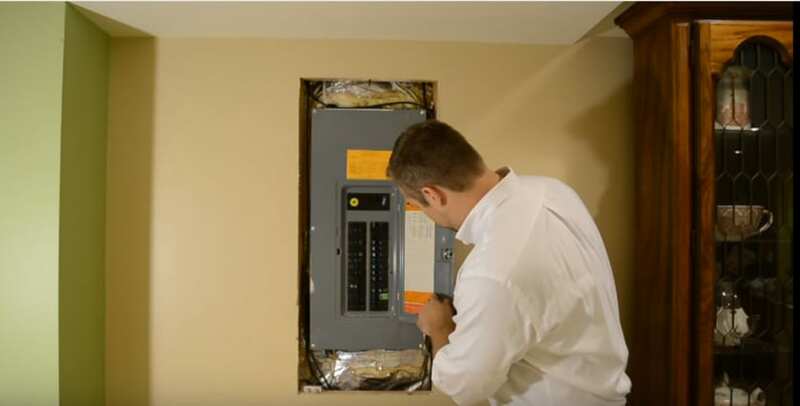 Whether it’s in the garage, the basement, the utility room or somewhere outside, we will thoroughly examine the fuses and/or circuit breakers for proper connections, damage, age, rust, residue, smoke etc. We’ll check whether or not the panel is providing sufficient electrical capacity for your home’s needs too. We will also check whether or not your electrical panel is a brand that has been recalled or discontinued. These old wiring configurations can create safety hazards as well as making it harder to get the home insured or to sell the home. Any electrical systems that are in close proximity to water need to be especially inspected and updated. This usually means areas in the bathrooms, kitchens, workshops or outdoors. The outlets in these areas must have GFCI outlets (“Ground Fault Circuit Interrupters). These GFCI outlets are programmed to cut electricity to that area if exposed to water. We will test these during an inspection and we advise homebuyers to check these during any pre-purchase walkthrough. We test whether all the lights, switches and outlets (and the things plugged into them) are properly grounded. Loose outlets, warm outlets, humming noises, lights that flicker or switches that spark are a sign that something needs to be tightened, repaired or replaced. ​So if you’re getting ready to buy a home, your home is reaching its 40th birthday (or more), you’re remodeling or installing anything new—or if you just have an electrical safety concern that needs checking, contact Root Electric today at (703) 494-3989 to schedule an electrical home safety inspection. Our job is to keep you safe!